Morning shakes to wake me up! I cannot explain the tiredness that I am feeling right now! I am usually pretty good at getting up but the past week has been a struggle. 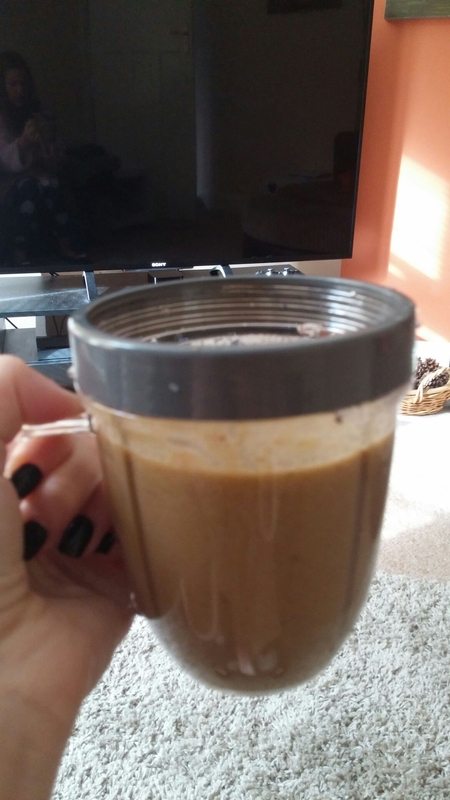 My husband purchased a nutribullet and even though we thought it might be one of those things we would never use it has been amazing! Each morning we chuck in some fruit (banana, apple, kiwi, grapes, blueberries etc. ), spinach and a pro-biotic drink and blend it up. This has given me so much more energy for the drive to work, would really recommend getting some sort of blender and starting your day with a shake if you are feeling lethargic. Some of my friends have said they would never have the time to make one but it takes 60 seconds! It also means you are getting important vitamins for your pregnancy in one hit and you no longer have to worry about eating them all throughout the day. I have been told my people to take the pregnancy vitamins but the multi ones are HUGE and for someone that is rubbish at taking tablets, the shakes make a great tasty alternative.